Incorporate the Waterfall model with the Scrum framework for a complete product lifecycle management process. 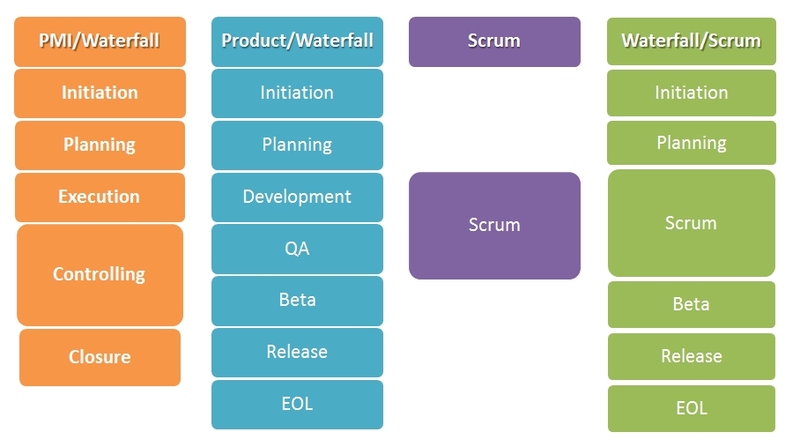 Waterfall and the Scrum framework are complementary. Waterfall provides an excellent model for managing a product through its life cycle. Waterfall does not identify best practices for managing the development process. Scrum provides a detailed framework for managing the development process. Yes, changes need to be made to an existing Waterfall process so that project development moves from a sequential environment to an iterative one. By realigning Waterfall to flow into and support the Scrum framework, an organization can achieve the best of both worlds when it comes to product lifecycle management. Anita Rosen brings the needed skills that facilitate departmental understanding and gets projects out on-time and on-budget without any messy or traumatic fire drills. Managing all aspects of the implementation of your project via a successfull merger of Waterfall and Scrum frameworks.